A simple eye test may offer a fast and easy way to monitor patients with multiple sclerosis (MS), medical experts say in the journal Neurology. 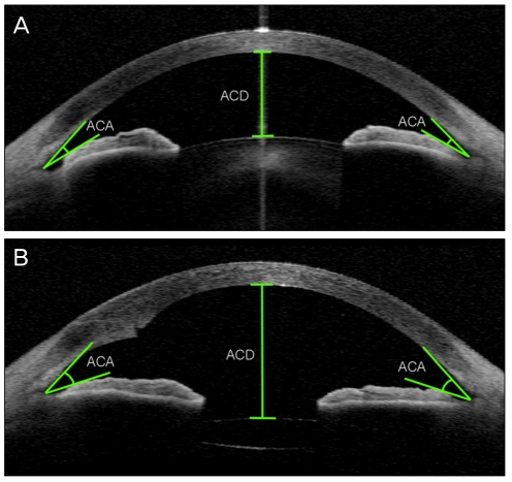 Optical Coherence Tomography (OCT) is a scan that measures the thickness of the lining at the back of the eye – the retina. It takes a few minutes per eye and can be performed in a doctor’s surgery. In a trial involving 164 people with MS, those with thinning of their retina had earlier and more active MS. The team of researchers from the Johns Hopkins University School of Medicine say larger trials with a long follow up are needed to judge how useful the test might be in everyday practice. The latest study tracked the patients’ disease progression over a two-year period. Multiple sclerosis is an illness that affects the nerves in the brain and spinal cord causing problems with muscle movement, balance and vision. In MS, the protective sheath or layer around nerves, called myelin, comes under attack which, in turn, leaves the nerves open to damaged. There are different types of MS – most people with the condition have the relapsing remitting type where the symptoms come and go over days, weeks or months. Usually after a decade or so, half of patients with this type of MS will develop secondary progressive disease where the symptoms get gradually worse and there are no or very few periods of remission. Another type of MS is primary progressive disease where symptoms get worse from the outset. There is no cure but treatments can help slow disease progression. It can be difficult for doctors to monitor MS because it has a varied course and can be unpredictable. Brain scans can reveal inflammation and scarring, but it is not clear how early these changes might occur in the disease and whether they accurately reflect ongoing damage. Scientists have been looking for additional ways to track MS, and believe OCT may be a contender. OCT measures the thickness of nerve fibres housed in the retina at the back of the eye. Unlike nerve cells in the rest of the brain which are covered with protective myelin, the nerve cells in the retina are bare with no myelin coat. Experts suspect that this means the nerves here will show the earliest signs of MS damage. The study at Johns Hopkins found that people with MS relapses had much faster thinning of their retina than people with MS who had no relapses. So too did those whose level of disability worsened. Similarly, people with MS who had inflammatory lesions that were visible on brain scans also had faster retinal thinning than those without visible brain lesions. Study author Dr. Peter Calabresi said OCT may show how fast MS is progressing. “As more therapies are developed to slow the progression of MS, testing retinal thinning in the eyes may be helpful in evaluating how effective those therapies are,” he added. In an accompanying editorial in the same medical journal that the research is published in, MS experts Drs Robert Bermel and Matilde Inglese say OCT “holds promise” as an MS test.